Shaped like a lightning bolt, these throwing knives utilize one-piece stainless steel with sharp edges and piercing points for deep target penetration. The aerodynamic cut-out designs in the handle help to ensure accuracy and smooth sailing right into your target with every throw. The included nylon sheath houses all three blades for safe, convenient storage and transport. Well balanced with sharp tips. I got these for my first set of throwers and they're not bad. The metal is kind of soft and bends easier than i would like, i already broke the tip off of one and the others are warping quickly, but that's to be expected. All in all, I would get another set but will probably go for one with more knives next time. If you are looking for a set of good, high quality throwing knives, this set of 8 7/8" inch long knives will meet everyone's standards garunteed!!! I bought these knives maybe a year ago or so and so far I'm still in love with them. The weight is good (judging from the size and weight, they probably are made from high carbon or at least a few grades better than stainless steel) and the tips and edges are sharp even after a few mishaps here and there. Only thing I am not crazy about is the design (cut) of the knife since it makes it difficult to perform a no spin throw with them (possible but still difficult). 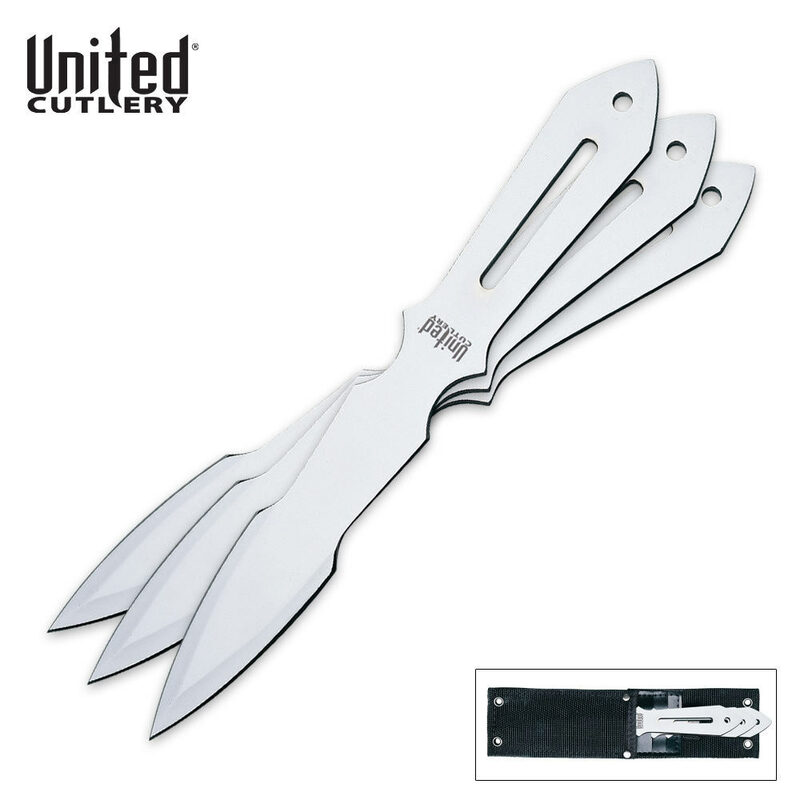 These knives are very easy to throw and stick and come very sharp. After a day of throwing they start to show it. On one of the blades, the tip snapped off. This is a great set of throwing knives they have a great weight and sharp point and look professional overall its a great buy. Editor's Note: Thank you for your comments. We have updated the review to reflect the appropriate spelling.